The award winning Bath dog walking team was set up in the early part of 2010. 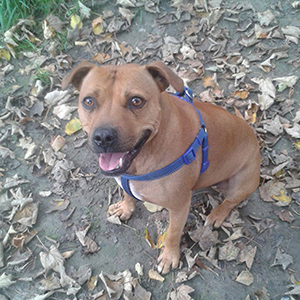 We have a fantastic team of experienced dog walkers in Bath and Peasedown St John, who offer a range of services for a wide variety of animals. Our dog day care in Bath is particularly popular, providing a warm and comfortable environment for your dog to stay in whilst you are away from home for the day. 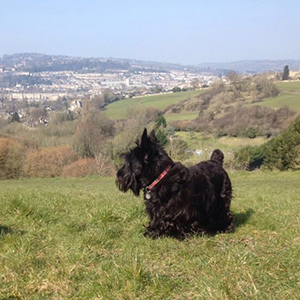 Our home from home dog boarding in Bath provides a fantastic alternative to kennels. Dogs will get one on one attention with the opportunity to socialise with other dogs in a controlled, safe and calm environment. 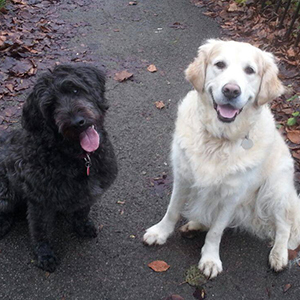 Our dog walking and cat sitting in Bath are also incredibly popular. Our Bath Dog Walker Team Manager! 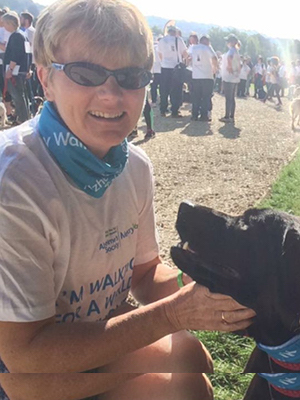 Alison joined the Bath team in 2013 as a Pet Carer, and in 2015 she moved up to the Manager role. She is a true animal lover and very experienced with various species of animals. 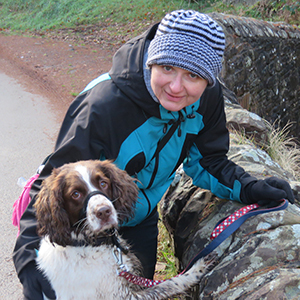 Alison currently has her own Border Collie called Luna and they both ensure that the Friends for Pets doggy clients enjoy their walks. Luna is a brilliant Friends for Pets assistant! Alison is fantastic with all the pets in her care but she also makes sure all pets she books in with team members are well matched and have the best care a client could ask for. The Pets needs will always come first! Alison and Luna have been doing agility for about four years taking part in fun shows where they have won quite a few rosettes. Due to injury Luna now isn’t able to compete but they attend scenting workshops with a local trainer to keep Luna’s Border Collie brain busy. Alison is hoping to add another Border Collie pup to their family shortly. The Dog Walking Bath team covers: Bath City Centre including Victoria Park, Weston, Lansdown, Fairfield Park, Larkhall, Bathwick, Widcombe, Combe Down, Englishcombe, Twerton, Oldfield Park, Batheaston, Bathford, Bathampton, Freshford, Peasedown St John and Limpley Stoke. We are adding new areas all the time and can always come that little bit further if your area is not listed, so please get in touch and we will try and help you. 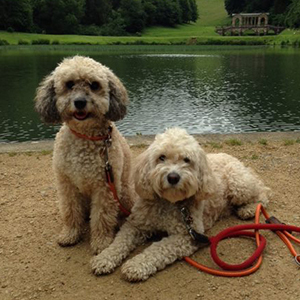 All members of our Bath Dog Walking Team are fully insured and have a minimum of a basic Disclosure. Some of our lovely Bath team clients! We needed someone to look after our puppy for two days a week while I'm at work. Most dog walkers I contacted weren't able to fit a small puppy into their group dog walks, so we needed someone who could just walk our dog by himself. We're absolutely delighted to have found Friends for Pets Our dog carer is really wonderful - very caring & puts a lot of effort into looking after our puppy. The admin end of things is also very efficient & easy to manage. I would highly recommend this service. See more Bath reviews.